Elder belongs to the Caprifoliaceae, or honeysuckle family, While not very traditional, the flowers of the Elderberry are just as diverse as the fruit it produces. The flowers can be used to make everything from Pancakes to icecream! The flavor of the flowers varies variety to variety, with some being more bitter or more savory than others. ElderBerries are exceptionally novel. They have the look of large bunches of micro-Blueberries and have tons of use when it comes to making syrups and medicines. The berry itself has medical uses going back thousands of years, and it's still considered an Antiviral Herb by the U.S. Government. Someone once said that asking the flavor of an Elderflower is akin to asking a hummingbird to describe the flavor of its favorite nectar. Subtle, delicate, and captivating, It's commonly added to various recipies to give a sense of richness and complexity to any dish. Not to mention the presentation of something so gorgeous as a plate covered in beautiful minature flowers. Elderberries and Elderflowers both can be enjoyed in a variety of ways. Elderberries are most famous in Jams and preserves where they have somewhat of an "All Star" reputation as unbelivably delicious, being described as having a flavor similar to blackberries, but with a richness that terminates each taste. 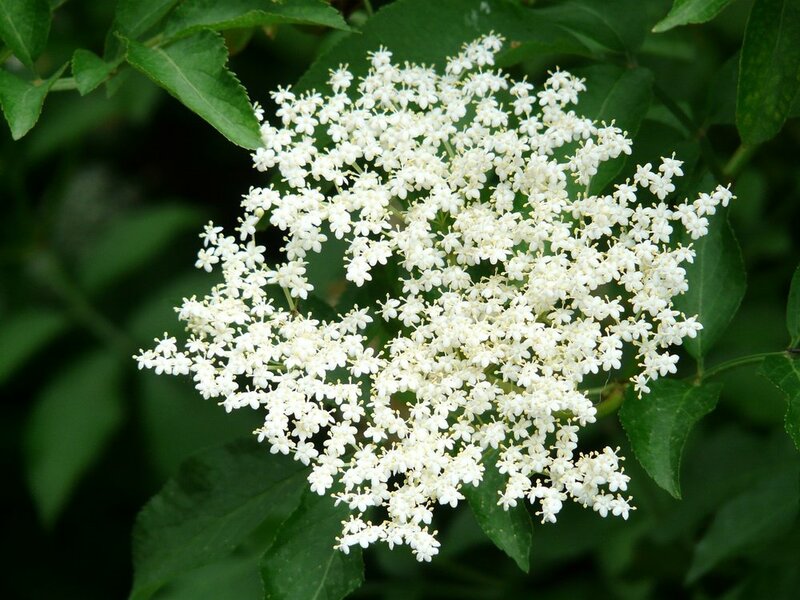 Elderflowers are popularly used in beverages, especially in Europe where Elderflower soda is commmon-place because of how easy it is to make! It's also added to pancake mix to make fritters, or even to flavor Icecream. Elderberry Syrup for the Flu! 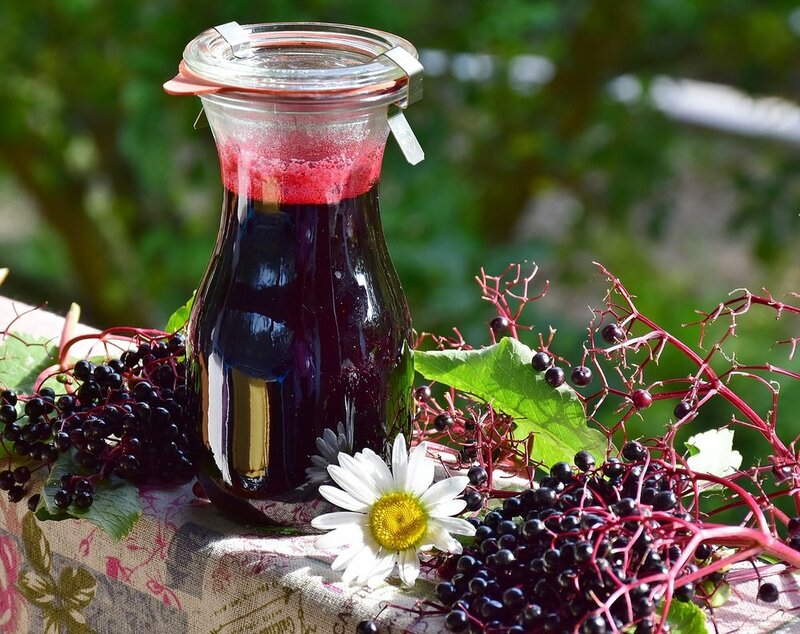 The elderberry is kind of over the top when it comes to the benefits it can offer the casual consumer. I mean, can you just give it a rest for a second Elderberries? They're such an effective antiviral herb that eating too many uncooked can give you a stomach ache as it clears your stomach of beneficial bacteria. The berry can be smashed and used to clean infected cuts and it can even be boiled and inhaled to clear sinus infections. 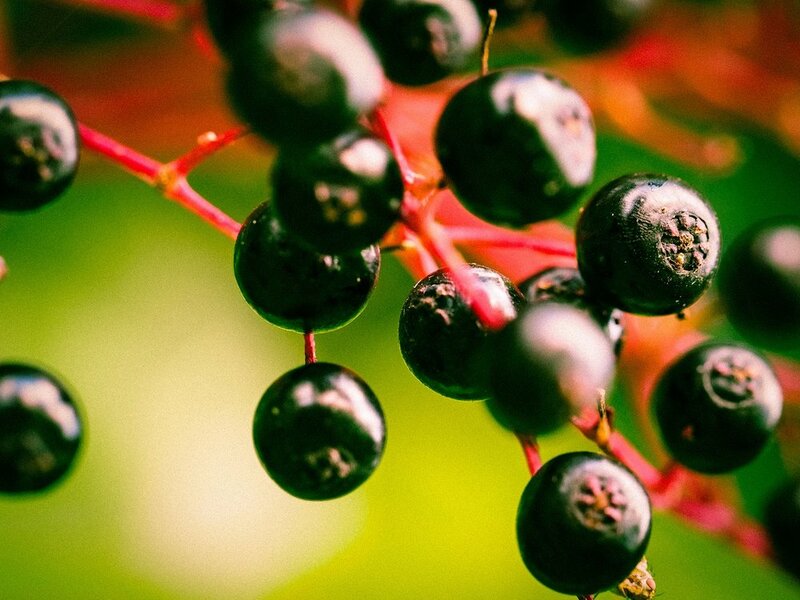 The Elderberry is effective at reducing inflammation and alleviate the stress of the immune system. Seeing as how an allergic reaction is the over-stimulation of the immune system and subsequent inflammation, the elderberry works like a charm. Seriously, This is the tip of the iceberg when it comes to all the health benefits of Elderberries. Just in case you really want to kick off your career as herbal medicine afficianado, Click here. Both the flower and the berry have traditionally been used to treat diabetes. 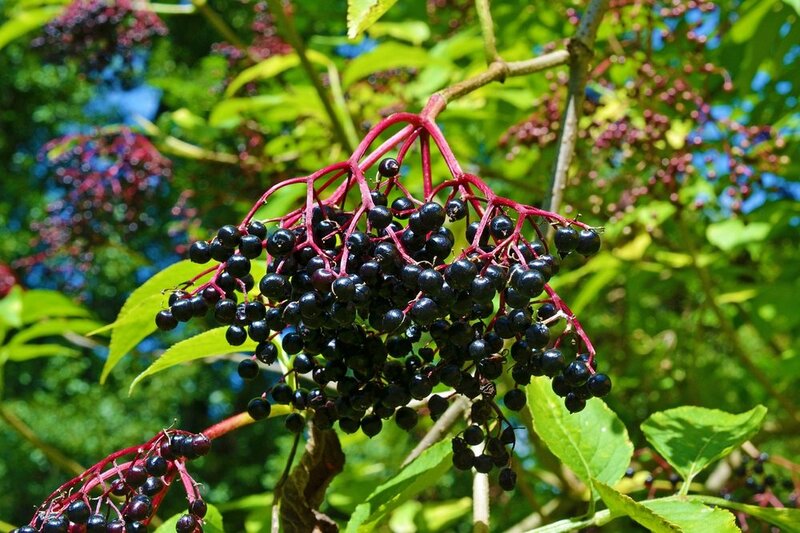 Research published in the Journal of Nutrition evaluated black elderberry. The study found that an aqueous extract of elder significantly increased glucose transport, clearing excess sugar from the bloodstream without the need for added Insulin. "Elder be ye Lady's tree, burn it not or cursed you'll be." It's pretty good advice, trust me! Elderberries were such a strong part of their culture they would plant Eldertrees over their loved ones graves where-in they believed a bloom was a sign of a happy soul. It isn't just the flower and the tree though. In old England they believed smashing berries on their eyes allowed them to see ghosts and witches. In current England, they believe that wizard wands made of Elder wood have the most powerful magic.